We are providing you here the complete Lyrics of Maula Maula with its correct and proper English Translation with its Meaning. We hope you will like the Lyrics of song Maula Maula With its English Translation with Meaning. The song Maula Maula from movie Awarapan (2007) is a sad song. Maula Maula song is shooted on Emran Hashmi. 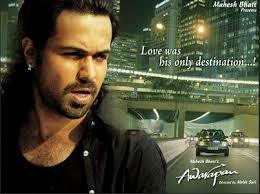 Emran Hashmi played a very serious role in movie Awarapan. The Music Writers of Maula Maula are Asif Ali Beg and Sayeed Qadri while Pritam Chakraborty has composed the music of Song Maula Maula. Rafaqat Ali Khan has given his heart touching voice in Maula Maula. The song Maula Maula directly touches the heart. In the song Maula Maula the writer has praise the God and he defined that the God lives everywhere you just need to feel and God will always be with you. If you have any query about Maula Maula Lyrics then you may ask through our comment box. If you also get touched after listen Maula Maula Song then don’t hesitate to share it and also don’t forget to hit like.